Christmas comes and goes, leaving the frosts, snow and ice of January and February, for us to endure. The cold damp dark days seem endless. 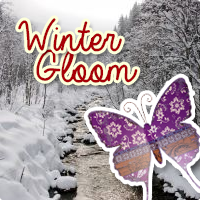 So what can we do to lift this winter gloom? Why not take a look at our superb range of quality winter metal wall art to brighten up your home and introduce a splash of summer colour all year round. Our Contemporary Metal Wall Art designs offer art with an abstract twist. We have a myriad of colours and themes. Try Butterfly Wall Art, Fish Wall Art, Vehicle Wall Art, Tree Wall Art or Sailing Ships Wall Art. The diversity and choice of these artistic forms is amazing...we have a theme for every room. Why not try one of our winter warmers that are on SPECIAL OFFER, perhaps our Traditional Fireside Accessories!!! Our popular accessories include our fireguard screen, our fire poker tools and our classic fireside bellows, to easily start a warm fire this Christmas. You will be spoilt for choice on the best companion set or cast iron log basket to buy. Getting ready for the winter requires quality fireplace accessories to keep you warm. If one of our fireside accessories catches your eye and you would like to find out more about it, please contact us today. Bring out the Artist in You…Your walls are Your Blank Canvas!! !